Want to know about latest trends in sunglasses? Born and bred in Australia, Jono Hennessy has been producing handcrafted frames since 1925. Passionate about the items they produce, Jono combines superior comfort and fit with a unique style that reflects the company’s passion for individuality and creativity. 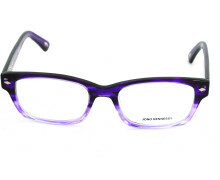 Enthusiastic about making people feel fabulous and happy in their eye wear, Jono only produces 300 of each frame. 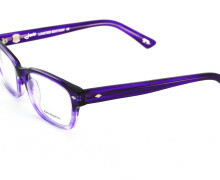 The 8270 is a Retro frame available in a graduated purple. Call the store on 0121 643 2880 with the model number and colour you would like.